Undergraduate students, Master’s students, Doctoral students, Chinese Language & Business Chinese Program students, General scholars, Senor Scholars. Option 1: Apply to the dispatching authorities of your country or local Chinese embassy or consulate. Contact us for the Pre-admission Letter once recommended by the dispatching authorities as an eligible candidate. Candidates holding a Pre-admission Letter will be placed in the host university by CSC. You need to apply between January and March. Please consult the dispatching authorities for the specific deadline of each year. Option 2: Chinese Government Scholarship-Chinese University Program. This scholarship is only available to Master’s and doctoral students. Applicants may apply through our university directly. (1) Currently study or work abroad. (2) From Japan, Korea, Russia, Thailand, Vietnam and other countries near China. All majors are available to apply. Please look through the appendix. (1) All the programs are instructed in Chinese (students may apply one year Chinese preparatory course if their Chinese level do not reach the criteria). Doctoral program: Financial Management, Accounting, Auditing, Finance, Management Science and Engineering, Tourism Management, Statistics, E-commerce, Quantitative Economics, Western Economics, International Trade, Public Finance, Human Resources Management, Marketing, Business Management, Education Economics and Management, etc. (3) Please contact School of International Education for more information if applicants want to apply other majors instructed in English. (1) The duration of Bachelor’s Program is 4 years, Chinese Language & Business Chinese Program students, General scholars and Senor Scholars are 1 year, Master’s Program is 2.5 years, and Doctoral Program is 3 years. Duration for scholarship specified at the admission notice is cannot be extended in principle. (2) Scholarship is full amount including: tuition, accommodation fee, comprehensive medical insurance, living allowance. 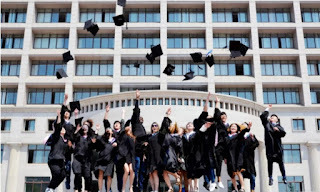 (3) International travel expenses are not included in Chinese University Program. In some countries, International travel expenses may be covered to the students who apply for scholarship through option 1(Type A). For further information please contact the related dispatching authorities. (4) Living allowance is granted to the scholarship students monthly. 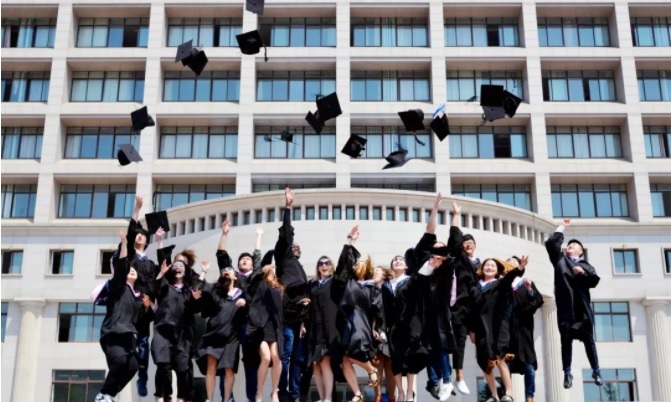 Doctoral degree students and senior scholars: 3500 RMB/month, Master’s degree students and general scholars: 3000 RMB/month, Bachelor’s degree: 2500 RMB/month. (1) Applicants have to be the foreigners who obey Chinese laws and regulations and university disciplines, respect Chinese customs and habits and have good morality. (2) Applicants for Bachelor’s Degree program must have high school degree certified by MOE and be under age of 25. (3) Applicants for Master’s Degree program must have Bachelor’s degree certified by MOE and two recommendation letters by professors or associate professors and be under age of 35. (4) Applicants for Doctoral Degree program must have Master’s degree certified by MOE two recommendation letters by professors or associate professors and be under age of 40. (5) Applicants for general scholars must have high school degree certified by MOE and be under age of 45. (6) Applicants for senor scholars must have Master’s degree certified by MOE and be associate professor or higher and under age of 50. (7) Applicants have no other scholarships from China government. (1) Register and log in ‘The Chinese Government Scholarship Information System’ (http://studyinchina.csc.edu.cn), fill in and submit the application form. Applicants who apply for scholarship through option 1 should choose ‘Program Category Type A’. The ‘Agency Number’ can only be obtained from the dispatching authorities or the corresponding universities upon recommendation. Applicants who apply for scholarship though option 2 should choose ‘Program Category Type B’. The ‘Agency Number’ of DUFE is 10173. An application with incorrect ‘Agency Number’ will not be accepted. (2) Applicants should also register and log in ‘DUFE Online Application For International Students’ (http://study.dufe.edu.cn), fill in and submit the application form. (3) Certificate of HSK or BCT for the program instructed in Chinese (not necessary); Certificate of IELTS or TOEFL for programs instructed in English (except mother language is English). * All the application Documents must be submitted on ‘The Chinese Government Scholarship Information System’ and ‘DUFE Online Application For International Students’. It is not necessary to post the hand copies.